It can be quite embarrassing trying to go for a jog when you alarm every fellow runner you approach with the sound of Santa’s sleigh at their heels. How about the awkwardness of wearing a pair of slim-fit pants with this unsightly amorphous protrusion jutting from the pocket? Good news! The KeySmart Pro with Tile will solve all of these problems! 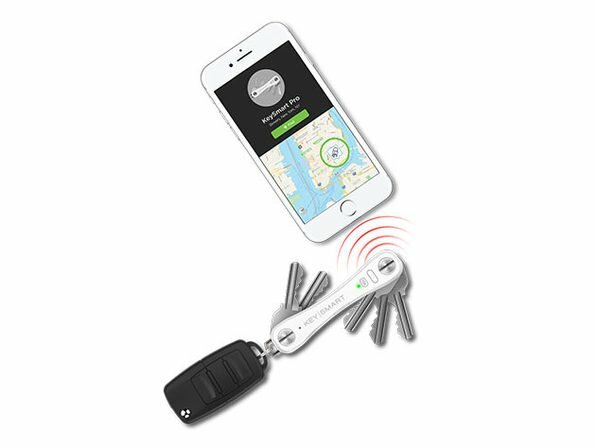 Best of all, and unlike your regular key chain, the KeySmart Pro works with the Tile app. This means that you can find them on your phone. Couch cushions, car floors, and pants pockets are no match; you can ring the keys from your handset! Sleek, practical and minimal, it is available to AndroidGuys readers for just $39.99. Definitely a great buy!